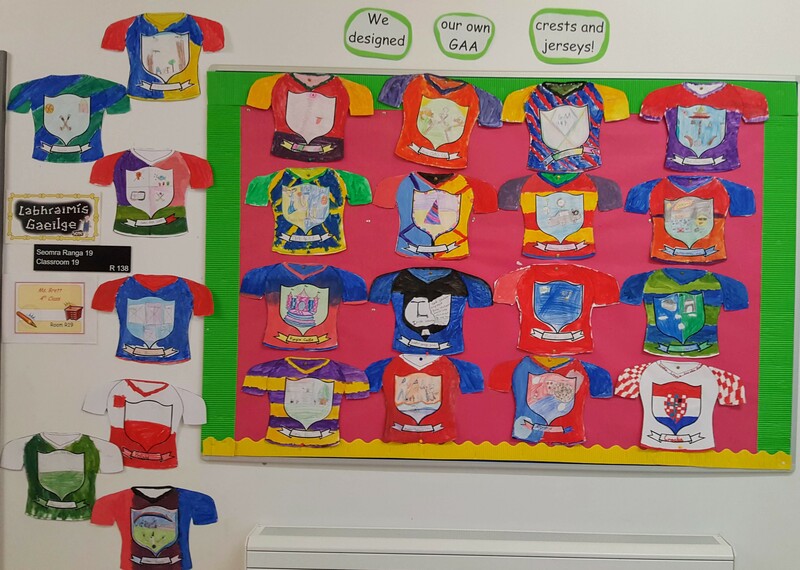 Ms Brett’s 4th Class have been learning about the GAA and the counties of Ireland for the last few weeks following Dublin’s historic All Ireland victory! 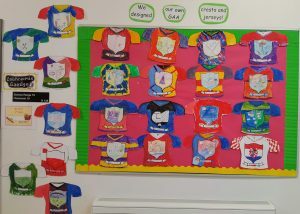 They also designed their very own GAA crests and jerseys. 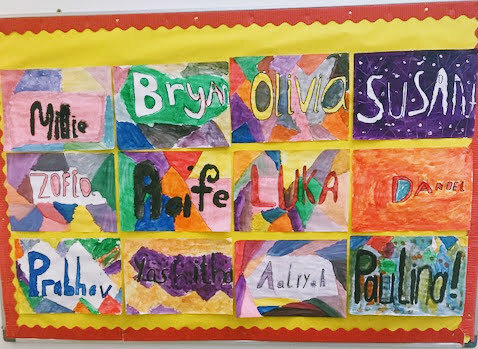 Mr Barrett’s 4th class showed off their artistic skills by adding some colour to their classroom and hallway. They experimented by mixing different colours together and had fun doing it. 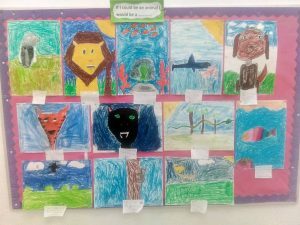 In Ms. Grennan’s 4th Class pupils did self portraits based on which animal they would be and why.